The 2015 Ferrari California T is a turbocharged slice of heaven and is currently attracting gawkers on the stages of the 2014 Geneva Motor Show. The Prancing Horse switched gears from the classic Ferrari red to a smooth white for the next-gen California display model–and it certainly looks phenomenal. Smile! 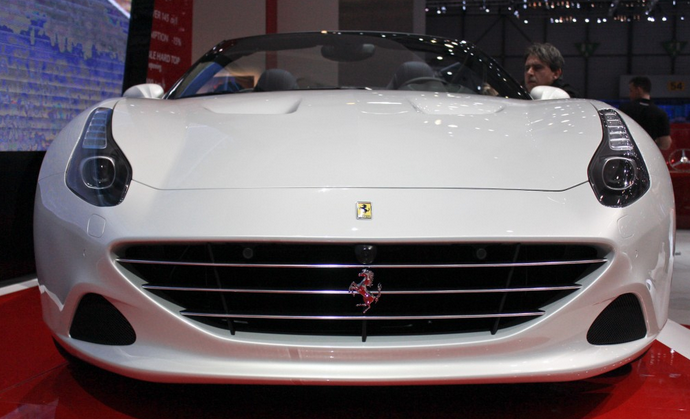 The 2015 Ferrari California T at the Geneva Motor Show. The fresh adaptations are smoking hot.